Cainiao Smart Logistics Network Ltd. (“Cainiao”) said today the first 100 million parcels generated during the 11.11 Global Shopping Festival orders were delivered in just 2.6 days, nearly five hours faster than a year ago. The new speed record comes even as the total number of 11.11 orders processed by Alibaba Group’s logistics arm topped one billion for the first time, significantly higher than 812 million at last year’s shopping event. Both are milestones in Cainiao’s drive to improve logistics sector efficiency amid ever-present consumer demand for faster delivery. “We handled 152 million parcels during the 11.11 festival in 2013. 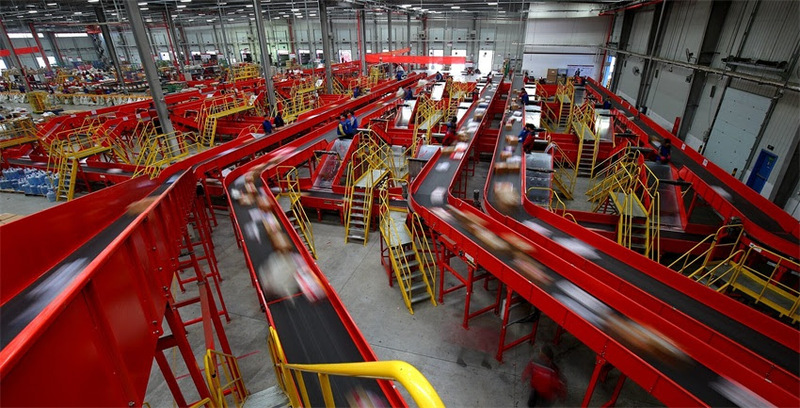 Today, the industry is now delivering 150 million parcels every single day in China. With this pace of change, we believe that the one billion parcels handled in this year’s 11.11 will become the daily average within the next decade,” said Lin Wan, President of Cainiao. For the first time, new logistics solutions, such as a high-speed, local-to-local delivery network, made it possible for goods ordered during 11.11 to be delivered directly from stores to customers. For example, the first cup of Starbucks coffee during the 11.11 promotion was delivered by Ele.me to a customer in Shanghai in just over nine minutes after the festival’s midnight start. Delivery within minutes offers consumers a brand-new shopping experience. Just as technology has improved significantly from last year, so has the capacity for cross- border logistics. In this year’s 11.11, five million import parcels were processed through customs clearance within less than five hours, compared to around eight hours and 57 hours to process the same amount in 2017 and 2016 respectively. Cainiao and its partners have also arranged bonded warehouses covering over one million square meters nationwide. This bonded warehouse network, which is China’s largest of its kind, has enabled international brands to store the right goods at the closest point to consumers, thereby cutting delivery time. Consumers in over 251 cities in China received their 11.11 overseas orders within same-day or next-day, thanks to Cainiao’s upgraded logistics.